At the upper end of the Snake River plain, surrounded by the Grand Teton and Big Hole mountains to the east, the Centennial and Beaverhead ranges to the north, and the Sawtooth mountains to the west, the Henry’s Fork Ranch is a 500 acre working cattle ranch located at the end of a paved county road near Chester, Idaho. The ranch has been in the Fuchs family since 1956 and has been not only a working ranch, but a retreat for them. The family has recently decided to make the ranch available to a very limited number of guests. Some of our guests aren’t invited, but they are always welcome. 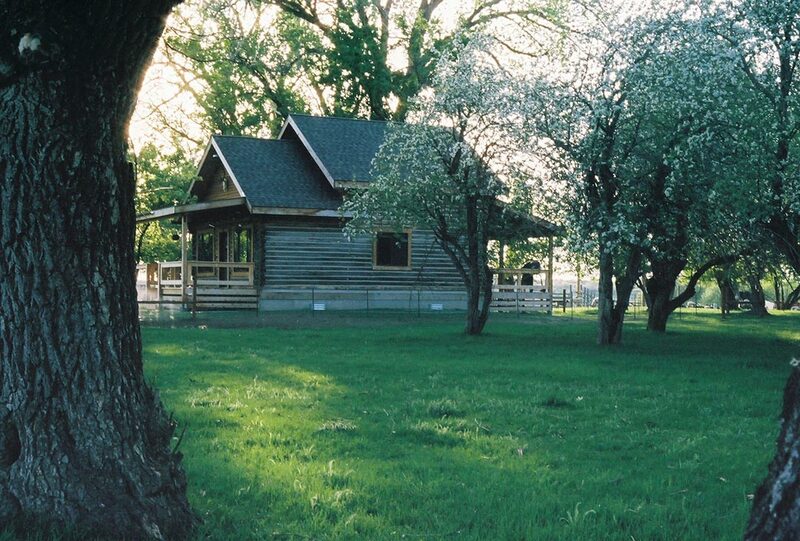 Nestled in a grove of Sugar Maple, Apple, and Cottonwood trees planted by the original homesteaders in the late 1800’s, the original homestead log cabin has been completely rebuilt from the ground up and offers a very unique, comfortable, and relaxing accommodation. The ranch offers 2 miles of private access to the Henry’s Fork of the Snake River, renowned as one of the best trout fisheries in North America, if not the world. This section of the river is open to fishing year-round. 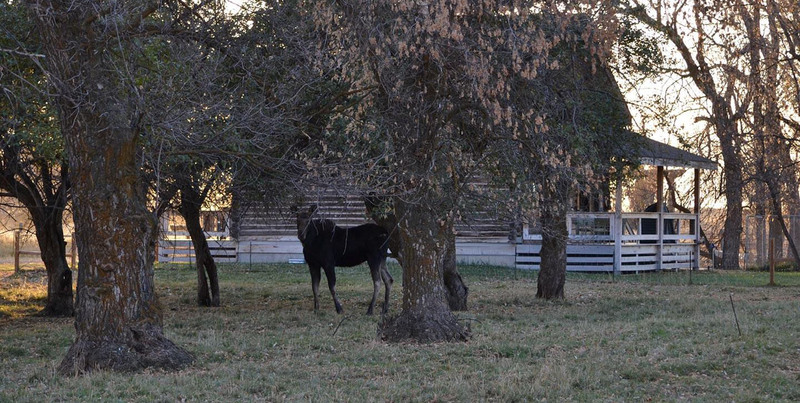 Henry’s Fork Ranch is home to a wide variety of bird species that changes with the seasons. Many species of waterfowl use the open water of the river year round, including Trumpeter Swans, Snow geese, Canada geese, and many species of ducks. Depending on the season, you can also see Sandhill Cranes, the occasional Whooping Crane, Bald Eagles, Osprey, and a wide variety of songbirds. What is there to do at the ranch? That depends on the season that you come to visit. 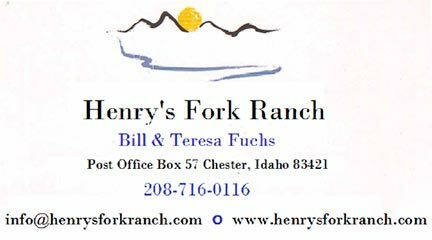 There is always fishing available on the 2 miles of river frontage on the world renowned Henry’s Fork. Fishing is unguided, but we will give you suggestions on what and where to fish. This section of river is very wadeable or floatable. The ranch has cattle on it from mid May through mid October. The Fuchs family have always been avid waterfowl hunters and because of this there are blinds and wetlands for hunting or just watching the many migratory birds that come for a visit. 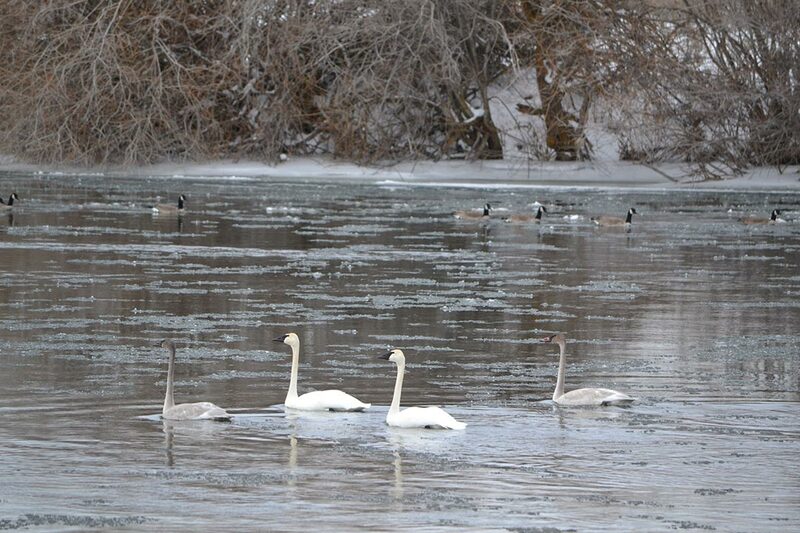 Some of these visitors such as the Trumpeter Swans, come in such large numbers they are very impressive to see and hear. Unguided Waterfowl hunting is available at the ranch from October – January. The ranch is located within a short distance of Yellowstone National Park, Harriman State Park, Grand Targhee Ski resort, Jackson Hole, WY, St. Anthony Sand Dunes, and within 15 minutes of the local golf course. This is all available, but you’ll probably not find the time to leave the ranch.